The applications and examples of AI in healthcare hold the promise of affordable healthcare, improved success rates, efficient clinical trials, and a better quality of life. While most of us are familiar with AI in the context of Alexa, Siri, or self-driving cars, we are now slowly understanding the potential of the clinical applications of AI. The steady rise in the impact of AI in healthcare can be exemplified by looking at the following five sectors of the healthcare industry. One of the biggest and directly consumer impacting potential application of AI in healthcare is its ability in helping people stay healthy. With the rise of Internet of Medical Things (IoMT) in consumer health applications, this application is growing in leaps and bounds in the last decade. 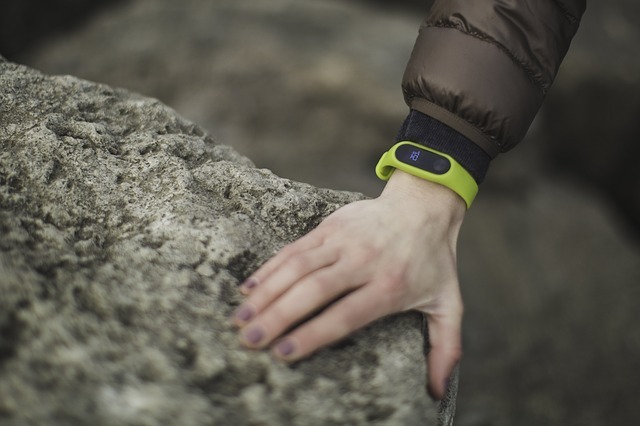 Healthcare apps encourage healthy behavior among individuals. With mainstream companies like Apple now making tracking cardiac health, fall detection and emergency SOS major products of their portfolio, it looks like IoMT is here to stay. 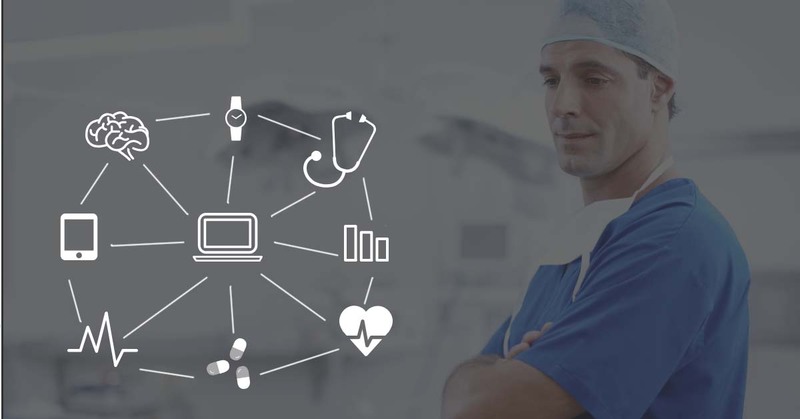 A report by Allied Market Research says that the IoT healthcare market will reach $136.8 billion worldwide by 2021, with a CAGR 12.5% between 2015 and 2021. In terms of practice, while still at its infancy, AI can help improve surgical performance. Typically, the outcome of a surgery, particularly, a new or complex procedure, can vary with the surgeons’ skill. Utilization of AI can reduce these case-to-case variations and even help improve the efficiency of even the best surgeons. For example, AI controlled robots can provide a three-dimensional magnification for articulation and perform with more precision and miniaturization. AI enabled robots can perform basic acts of precision cutting and stitching. In 2017, we witnessed surgeons using AI assisted robotics to suture extremely narrow blood vessels –.03 to .08 millimeters across– at the Maastricht University Medical Center, Netherlands. Of course, the surgeon still controls the robotic suturing. There are numerous little complex tasks during a surgical procedure, which absolutely require the skills of a nuanced surgeon. There is still a long way to go before we can witness an AI utopia where robots would replace surgeons or nurses. However, for now they are excellent helpers that can reduce outcome variability. AI can and is already improving the early detection of diseases including cancer and retinopathies. The use of AI in analyses and review of mammogram and radiology images can speed up the process up to 30 times, and with 99% accuracy. In 2017, Stanford university published a study describing successful use of AI algorithms to detect skin cancer against the diagnosis of 21 dermatologists. This year, Google’s DeepMind technology successfully trained a neural network to detect more than 50 types of eye disease, by analyzing 3D retinal scans, in a collaborative study with joint research with Moorfields Eye Hospital, London, UK. The biggest advancement of this study over its predecessors is the explainability of how the computer arrived at some of the interpretations. Overcoming a previous black box of data interpretation and inference reinforces the reliability and trust in this application. Most importantly, it is important to acknowledge and emphasize the benefit of combining the powers of the AI algorithms with the powers of the physicians. At the International Symposium on Biomedical Imaging, a competition was held for computational systems that were programmed to detect metastatic breast cancer from biopsy images. While the winning program made the diagnosis with a 92.5% success rate, combining it with human pathologists’ opinion and expertise increased that number to 99.5% success. One of the most valuable examples of AI in healthcare is precision medicine, which is currently touted as the paradigm-shifting healthcare practice. The foundation of precision medicine relies on the copious amounts of data collected from many disruptive technological innovations, including health sensors patients use at home, cheap genome sequencing and advanced biotechnology. Precision medicine refers to “tailoring of medical treatment to the individual characteristics of each patient”. Medical practices are now rapidly shifting from making decisions based on few seemingly overlapping features among patients, to adopting a more personalized format. Precision medicine depends on advanced supercomputing algorithms with deep learning and thus, uses the cognitive capabilities of physicians at a new scale. In this day and age of easy access to genomic data, one of the challenges is to plough through to identify genetic variants that increase disease risk. Intel, in collaboration with the Scripps Research Institute, CA, USA has developed a deep learning algorithm that could detect 23 patients with increased cardiovascular disease risk, unidentified by conventional statistic methods, with 85% accuracy. IBM Watson and Google DeepMind are the leaders in mining medical records, with the ultimate objective of creating a “cognitive assistant” equipped with a range of clinical knowledge, analytical and reasoning capabilities, alongside. The current format of clinical trials takes decades of research and costs billions of dollars. According to the California Biomedical Research Association, “Only five in 5,000 of the drugs that begin preclinical testing ever make it to human testing and just one of these five is ever approved for human usage”. The use of AI in drug discovery can help pharmaceutical companies to streamline drug discovery as well as, drug repurposing. Many pharma giants, including Pfizer, Sanofi and Genetech are now partnering with AI service providers- IBM Watson, Exscientia’s artificial-intelligence and GNS Healthcare, respectively, to drive their oncology drug discovery programs. AI can pinpoint to previously unknown causes of various diseases, and, enable testing of more compounds with higher accuracy and reproducibility. Using AI for drug discovery would enable us to get rid of the traditional trial and error approach and embrace a more patient-driven biology via using more data-derived predictive hypotheses. Atomwise, a drug development company used AI to analyze if existing medicines could be redesigned to target the Ebola virus in 2016. An analysis that would have normally taken months or years by the conventional means, was instead accomplished in a single day, resulting in two potential hits. While, the in silico modelling techniques grow more important in modern drug research and development (R&D), they are far from replacing the standard pharmaceutical-industry R&D productivity. While the above said practices are some of the “cooler” AI applications, what goes unnoticed behind the scenes, is the administrative workflow assistance by AI with an estimated value of $18 billion. AI has mobilized the automation of administrative jobs that can help doctors and nurses in their routine jobs of data collection, recording and long-term storage. By getting rid of the repetitive parts of a physician’s job, AI might assist the caretaker’s availability for the patient on a regular basis. Who would be held accountable for machine errors can lead to mismanagement of care? Would a pre-existing bias (under- or over-represented patient subgroups) in the data being used for training AI, reinforce the bias in diagnosis and analyses instead of eliminating them? Would the patients be informed of the extent of role AI is playing in their treatment? Would AI encourage patients to not seek advice from a medical practitioner, and indulge in self-diagnosis and medication? Could the healthcare practitioners feel threatened by AI about a potential loss in authority and autonomy? Would this in turn affect their medical practice? Clearly, being an upcoming technology, AI is a tightrope requiring careful treading. If used responsibly, keeping in view, the associated ethical and data privacy criteria, AI can potentially lead to an unprecedented transformation in how healthcare industry works. And while this transition is in the works, it is important to train current medical professionals about using AI. Since AI is such a buzzword currently shrouded in hype, it is important to realize what actually helps and what doesn’t, to avoid being bamboozled. While AI is far from eliminating human involvement in the healthcare sector, it could definitely overturn the jobs in favor of practitioners educated and accepting of AI in this sector. Need to consult an Artificial Intelligence expert? Hire from over 5,500 freelance scientists on Kolabtree. It’s free to post your project and get quotes from experts.